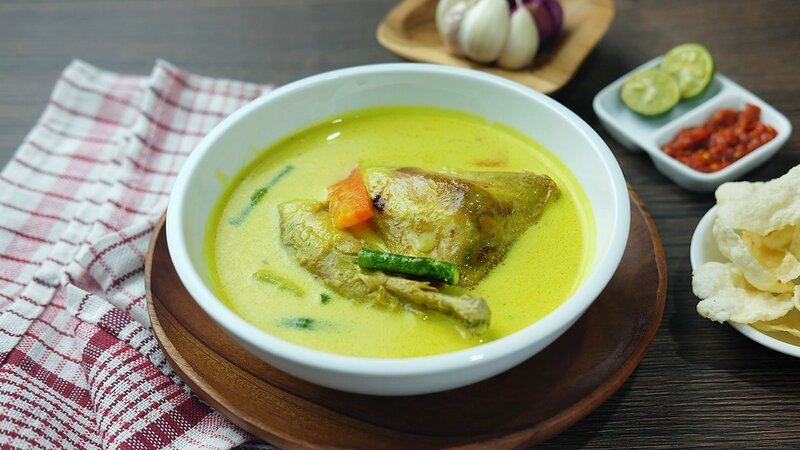 Kampong chicken curry – a typical Surabaya dish – has a slightly different taste compared to other curry recipes. Try this recipe out for those looking for authentic Indonesian cuisine. Mix the salt and Knorr Lime Powder with the water, then coat the chicken thoroughly. Leave to marinate for a few minutes, then drain. Grill the chicken until it's slighly brown. Cut chicken according to taste. Sauté all the ingredients– except coconut milk and water – until fragrant. Add the grilled chicken into the stir-fried ingredients. Add water, heat to boiling, then add the coconut milk. Lower the heat and simmer until the curry thickens. Serve with rice or lontong.